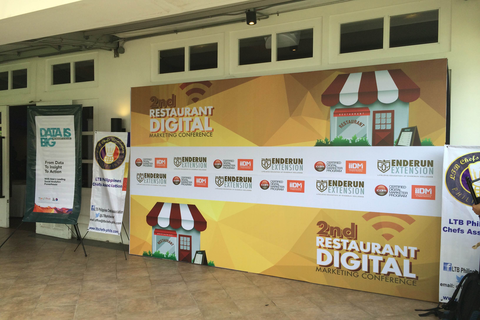 On its second year, the Restaurant Digital Marketing Conference was recently held to further educate restaurant owners on how to market their food businesses online. <>The opportunities in the food industry continue to increase amid continuously rising number of restaurants in the country. Logically, Filipinos love to eat and apparently, they want to try a new dish almost every day. Moreover, a Facebook wall will never be complete without seeing food ’selfies’ every now and then. Interestingly, those pictures actually serve as a tool for promoting restaurants and menus. 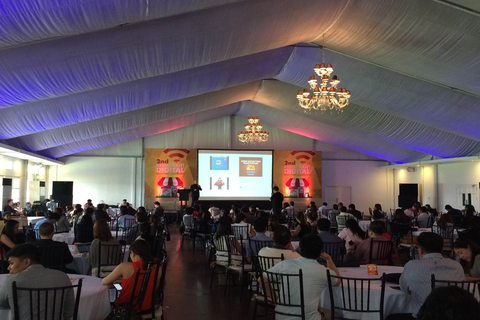 The International Institute of Digital Marketing (IIDM) held its 2nd Restaurant Digital Marketing Conference last August 27, 2014 (Wednesday) at the Enderun Colleges, McKinley Hill in Taguig City. A number of local and international restaurant owners and marketing experts gathered for this annual event that caters to food entrepreneurs who need to learn more about the how-to’s in promoting their businesses through the flourishing digital platform. Digital restaurant marketing is now gradually replacing the traditional way of advertising since the number of Filipinos who are reliant on smartphones and social media websites has extensively increased. Invited practitioners from the food and marketing industries shared ideas on how to captivate potential online consumers through different digital marketing strategies. Those speakers included Globe Telecom Vice President Glenn Estrella, Digit Managing Director Carlo Ople, Pepper.ph Managing Editor Mikka Wee, ThoughtBuzz General Manager Rianna Roces, Ogilvy One Worldwide Managing Director Isa Garcia-Sicam, and Lassu Managing Director James Griffin. The conference was divided into three parts. Informing the potential customers about the business through PR and marketing strategies were discussed in the first plenary. The second focused on how to drive foot and online traffic to the business, while the tactics on retaining the consumers were tackled in the third. Attendees participated in a question and answer panel discussions, wherein they personally asked for tips and advices in marketing from the speakers. They asked for ways to utilize the online and digital platform in increasing traffic and eventually potential customers. Veteran food entrepreneurs were also given the chance to interact with other attendees and build their network, sharing their insights and experiences based on their respective businesses.